Part 1-2 of EN 1992 deals with the design of concrete structures for the accidental situation of fire exposure. It only identifies differences from, or supplements to, normal temperature design and deals only with passive methods of fire protection. Active methods are not covered. Rthe Eurocode applies to concrete structures that are required to fulfil certain functions when exposed to fire, in terms of avoiding premature collapse of the structure (load bearing function); limiting fire spread (flame, hot gases, excessive heat) beyond designated areas (separating function). 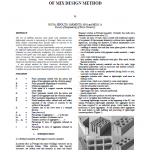 It also gives principles and application rules for designing structures for specified requirements in respect of the aforementioned functions and the levels of performance. It applies to structures, or parts of structures, that are within the scope of EN 1992-1-1 and are designed accordingly. The methods given in this Part 1-2 of EN 1992 are applicable to normal weight concrete up to strength class C90/105 and for lightweight concrete up to strength class LC55/60. 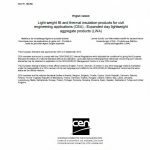 This technical handbook is intended to provide the tools for lightweight aggregate concrete in accordance with the current national and European regulations (D.M. 14/1/2008, CIRCOLARE n°617 – 2009, EC2). 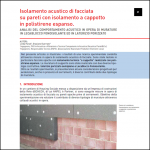 - Examples of some applications in the use of LWAC (RC beam, strengthening of existing floor slabs), as well as various indications regarding concrete mix design and executive aspects. The text is primarily addressed to designers by providing them all the elements needed for design, highlighting only differences in the use and characteristics of ordinary concrete. 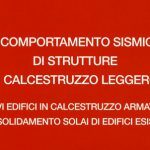 The purpose of this research is to highlight the seismic behavior of concrete structures with lightweight aggregates of expanded clay, directly against the same structures but made up of ordinary concrete. 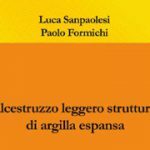 - Strengthening of wooden floor slab in existing masonry buildings through the creation of a composite section of the elements, which also acts as a rigid diaphragm, both in light and ordinary structural concrete, with specific attention to the effects on the overall seismic behavior of the building. This German article highlights how lightweight concrete combines lightness, strength, and thermal insulation. Due to its low bulk density and the resulting low weight, concrete made with expanded clay can be used in a variety of building applications, with the added bonus of resistance to extreme weather conditions, and an overall excellent level of insulation. The high quality and design of buildings made of lightweight concrete with expanded clay is shown through numerous examples, including private houses, but also public and industrial buildings such as the Land- und Amtsgericht in Frankfurt / Oder by Bumiller & Junkers Architekten. The Convention for the Protection of the Marine Environment of the North-East Atlantic (the ‘OSPAR Convention') entered into force in 1998. One key element of the Convention is the targeted dismantling of offshore steel platforms. In order to comply with the Convention- in the North Sea there are 700 platforms - several consortia concepts were developed for the dismantling of the platforms. A consortium had the idea of ​​developing a robust and cost-effective demounting platform, which should use the Archimedian principle for vertical lifting. This MPU Heavy Lifter consists of a cellular U-shaped float of lightweight concrete, each with a light-weight tower at the four corners. The lightweight concrete represents a challenge to the concrete manufacturers due to the low concrete density and the use of light sand. 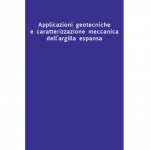 The contribution describes the basic principles for design and dimensioning, the required concreting properties, the extensive test program with its results and the construction. Expanded clay, an unique lightweight aggregate with versatile applications. The only "all in one" aggregate with sustainable use "everywhere". Due to its unique characteristics, expanded clay has broad range of applications "everywhere", like in the housing, infrastructure and green projects. 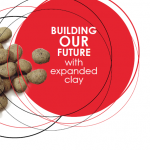 For each of the applications expanded clay will bring a number of benefits as illustrated in this brochure. 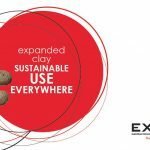 This Technical report was prepared by EXCA, the European Expanded Clay Association, in 2007 and revised in 2015. The goal and purpose has been to present the current best practice and recommendations on the European level concerning proper construction works and in-situ quality control to ensure a correct and proper execution of civil engineering applications of Expanded Clay lightweight aggregates. 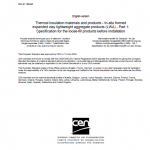 The basic material properties shall be documented and declared according to EN 15732 Light weight fill and thermal insulation products for civil engineering applications (CEA). Expanded clay lightweight aggregate products (LWA). 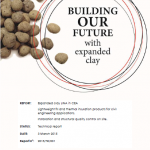 This technical report is acknowledged by all the major partners in the European Expanded Clay industry, and thus should be considered as a recommendation from the industry. This report provides general recommendations prepared by the EXCA-industry and has no legal status. National standards, recommendations, instructions and guidance given in the specific projects have to be followed. 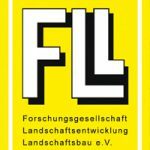 This European Standard specifies the requirements for loose-fill expanded clay lightweight aggregate (LWA) products installed in roofs, ceilings, floors and ground floors. This Part 2 is a specification for the installed product. Part 2 of this European Standard describes, when taken together with Part 1, the product characteristics that are linked to the essential requirements of the EU Construction Products Directive. Part 2 also specifies the checks and tests to be used for the declarations made by the installer of the product. Part 2 of this European Standard does not specify the required level of a given property to be achieved by a product to demonstrate fitness for purpose in a particular application. The levels required for a given application are to be found in national regulations or non conflicting standards. This European Standard does not cover factory made expanded clay lightweight aggregate products or in-situ products intended to be used for the insulation of building equipment and industrial installations. This European Standard does not specify performance requirements for airborne sound insulation and for acoustic absorption applications. EN 1997 Eurocode 7 shall be applied to the geotechnical aspects OF the design of buildings and other civil engineering works and shall be used in conjunction with EN 1990:2002 that establishes the principles and requirements for safety and serviceability, describes the basis of design and verification and gives guidelines for related aspects of structural reliability. Numerical values of actions on buildings and other civil engineering works to be taken into account in design are provided in EN 1991 for the various types of construction, whereas actions imposed by the ground, such as earth pressures and by ground water, shall be calculated according to the rules of EN 1997. Separate European Standards shall be used to treat matters of execution and workmanship. In EN 1997 execution is covered to the extent that is necessary to comply with the assumptions of the design rules. EN 1997 does not cover the special requirements of seismic design. EN 1998 provides additional rules for geotechnical seismic design, which complete or adapt the rules of this Standard. Saint-Gobain Weber Portugal, S.A. and the National Laboratory for Civil Engineering (Laboratório Nacional de Engenharia Civil - LNEC) in cooperation with the Instituto Superior Técnico (IST), signed a protocol, in 18th of March of 2010, aiming the study of a control method of the construction of embankments with light expanded clay aggregates. A set of checking and calibration tests, at the laboratory, using the comprimeter, was defined for the evaluation of the compaction conditions of theses materials. 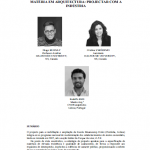 This document presents the preparations conditions, the results and interpretation of the tests after the conclusion of the experimental program at the laboratory. This manual has been developed to give the geotechnical designer all the information necessary to design lightweight embankments with expanded clay. The first two chapters analyze the geotechnical characteristics of expanded clay; chapter 3 develops in detail the design of embankments on soft soil and sliding slopes lightened with expanded clay; the fourth chapter analyze the installation procedures and problems and finally the fifth and final chapter describe the methods to verify and test the quality standards of the instalment of the lightweight embankment. 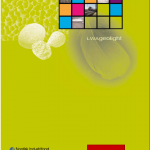 LWA geolight is an internordic project aiming at developing technical solutions for the use of light weight clay aggregate (LWA) for insulation and light weight fill in roads and railways. The project is performed with financial support from Nordic Industrial Fund. The project has been organised with national activities in Finland, Sweden and Norway on the topics LWA in combination with geosynthetic reinforcment, hydraulically stabilised LWA and mechanically stabilised LWA. 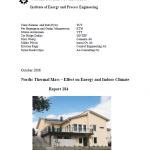 Internordic working groups have been established on the topics surface icing, required properties and test methods, publication and implementation of results in CEN. The project includes laboratory testing, numerical analyses, model tests and field tests. 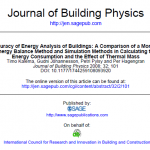 It has provided data on characteristics of LWA, structural behaviour and relevant factors for the construction with LWA. A separat Nordtest project on required properties has been performed in close co-operation with the LWAgeolight project. 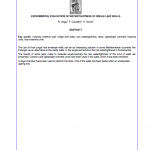 The conclusions are incorporated and are also forwarded as basis for a new work item in CEN. In the presence of layers of very unstable ground, characterized by high thicknesses, it is now common practice to build lightweight road embankments and / or compensate them by using expanded clay. This technique is used to reduce sagging, that is often experienced while carrying out the works, increasing the durability and reducing maintenance costs. 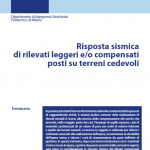 This article will take into consideration the seismic response of compensated embankments and will discuss the factors that most influence it. We will use three different approaches: (i) the pseudo-static, (ii) the displacement method and (iii) it will also critically discuss the results of numerical analysis’ carried out by using a finite difference computer program. The geotechnical engineer is often looking for safety solutions for gravity retaining walls that are already in place, while also respecting the current seismic regulation (NTC 2008). The article demonstrates how the replacement of part of the backfill material with expanded clay, can be a winning solution. 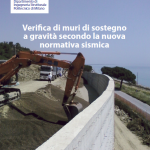 By using expanded clay we can reduce the pressure that the ground exerts on the retaining wall, prevents the build-up of pressure caused by water and allows structural verification even if the work is carried out in areas of high seismicity, as it significantly reduces the pseudo-static pressure. This one, in case of an earthquake, would load on the structure.